With years of experience, we are able to offer an enticing collection of Fresh Flowers and Imported Fruits. Our range includes Curcumin Boswellia, Mokara Orchids, Dutch Roses, Calalily Flowers, Dazzling Lilies and Lotus Flower. We also offer Fresh Marigold, Orchids Flowers, Gerbera Flowers, Palm Rose, Rose Flowers and Chrysanthemum Flowers. We procure these flowers from the reliable vendors and well-cultivated farms and then, supply these to decorators, wholesalers, retailers and corporates at very competitive prices. Apart from this, we also undertake decoration work for wedding, birthday, theme parties and corporate events. We offer imported fruits like Thai Guava, Rambutan Fruit, Cherry, Mangosteen Fruit, Blueberry Fruit, Durian Fruit and Dragon Fruit. Crazy Flora has been a trusted name in the import, trader & export of exotic Flowers, Fruits, Vegetables & Plants. 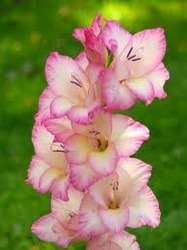 We export Middle East and Australia flower like carnation, asiatic, oriental lilly, anthuriums, tubrose and gerbera. While sourcing these flowers, we reassure that these are cultivated in hygienic farms and their freshness & appeal is not lost during the transit. To our clients, we provide easy payment modes like Cash, Cheque, Credit Card and DD.